We are planning to have several candidates visit the station over the next couple of months in addition to the election activities in planning for CJSW 90.9 FM. We may also be putting in our own two cents here and there. While refraining from soapboxes, we hope to give you accurate resources and info to get you to the polls in one peice. If you are 18+, a Canadian citizen, a resident of Calgary or other, and have lived here for 6 months prior to the election, you can Rock the Vote with DEP!! Ward 1 - Bowness, Canada Olympic Park, Crestmont, Greenwood Village/Green Briar, Montgomery, Rocky Ridge/Royal Oak, Scenic Acres, Silver Springs, Tuscany, University of Calgary, University Heights, Valley Ridge, Varsity. 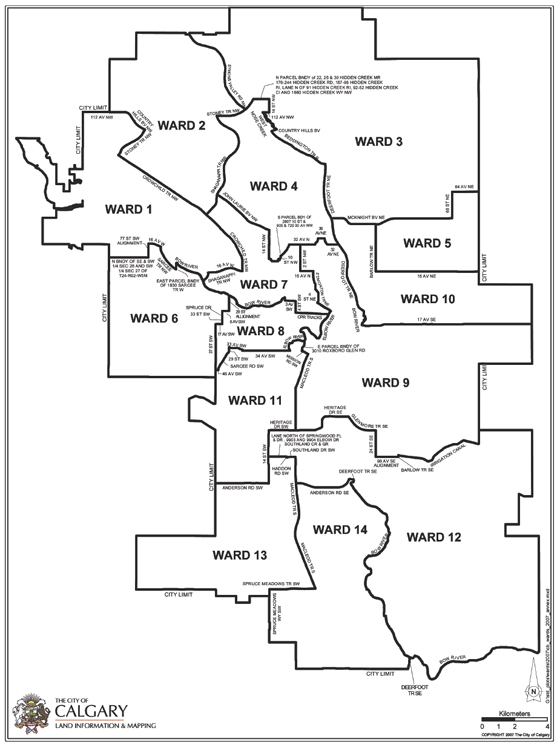 Ward 2 - Arbour Lake, Citadel, Dalhousie, Edgemont, Hamptons, Hawkwood, Kincora, Ranchlands, Sherwood, Symons Valley. Ward 3 - Castleridge, Country Hills, Coventry Hills, Evanston, Falconridge, Harvest Hills, Martindale, Panorama Hills, Saddle Ridge, Taradale. Ward 4 - Beddington Heights, Cambrian Heights, Greenview, Hidden Valley, Highland Park, Highwood, Huntington Hills, MacEwan, North Haven, Nose Hill Park, Queen's Park Village, Rosemont, Sandstone Valley, Thorncliffe. Ward 5 - Coral Springs, Monterey Park, Parkridge Estates, Pineridge, Rundle, Sunridge/Horizon Industrial Park, Temple, Whitehorn. Ward 6 - Aspen Woods, Christie Park, Coach Hill, Cougar Ridge, Discovery Ridge, East Springbank, Glamorgan, Glenbrook, Glendale, Glendale Meadows, New Discovery, Patterson, Prominence Point, Richmond, Richmond Hill/Park, Rosscarrock, Signal Hill, Springbank Hill, Spruce Cliff, Strathcona Park, Westgate, Westhills, Westsprings, Wildwood. Ward 7 - Banff Trail, Brentwood, Briar Hill, Capitol Hill, Charleswood, Chinatown, Collingwood, Cresent Heights, Downtown (North), East Village, Eau Claire, Hillhurst, Hillhurst West, Hounsfield Heights, Kensington, Mount Pleasant, Parkdale, Point McKay, Rosedale, St. Andrews Heights, Sunnyside, West Hillhurst. Ward 8 - Bankview, Beltline Communities of Connaught & Victoria Park, Cliff Bungalow, Downtown West, Eau Claire, Elbow Park, Killarney/Glengarry, Mission, Mount Royal, Richmond-Knob Hill, Rutland Park, Scarboro, Shaganappi, South Calgary, Sunalta. Ward 10 - Abbeydale (including Chateau Estates), Albert Park/Radisson Heights, Applewood Park, Calgary Marlborough, Crossroads (including Belfast, Mayland Heights and Vista Heights), Forest Heights, Forest Lawn (North of 17 Avenue SE), Franklin, Marlborough Park, McCall, Meridian, North and South Airways, Penbrooke Meadows (including Red Carpet/Mountview). Ward 11 - Altadore, Bayview, Bel-Aire, Braeside, Britannia, Cedarbrae, Chinook Park, Currie Barracks, Eagle Ridge, Elbow Park, Elboya, Garrison Woods, Heritage Park, Kelvin Grove, Kingsland, Lakeview, Lincoln Park, Mayfair, Meadowlark Park, Mount Royal College, North Glenmore Park, Oakridge, Palliser, Parkhill/Stanley Park, Pumphill, Rideau Park, Riverdale Park, Roxboro, Windsor Park. Ward 12 - Acadia, Auburn Bay, Copperfield, Cranston, Douglasdale Estates, Douglas Glen, Haysboro, Mahogany, Maple Ridge, McKenzie Lake, McKenzie Towne, New Brighton, Prestwick, Riverbend, Seton, Shepard and Willow Park. Ward 13 - Bridlewood, Canyon Meadows, Evergreen, Millrise, Shawnee Slopes, Shawnessy, Somerset, Southwood, Woodbine, Woodlands.